Have you ever wished you could cover your existing teeth as easily as painting a wall? With snap-on smiles provided by David C. Montz DDS in Friendswood, it’s possible. Snap-on smiles are custom-made veneers that, quite literally, snap over your teeth to produce a fabulous smile. They cover crooked or chipped teeth, gaps, and missing teeth – a quick and convenient way to get a stunning appearance. 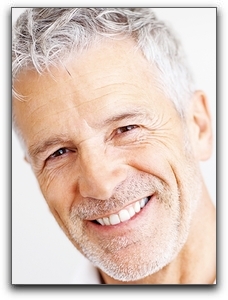 Porcelain veneers are similar to snap-on smiles, but they are permanently affixed to your teeth. They’re wafer-thin, medical-grade porcelain that give you a perfect, brilliant smile. Another cosmetic dentistry option is teeth whitening. Professional teeth whitening far surpasses any over-the-counter whitening product, and is one of our most popular procedures. We have two options: Zoom! in-office whitening that can transform your smile in a single office visit, and Opalescence teeth-whitening that gives you incredible results in the convenience of home. Contact David C. Montz DDS in Friendswood to find out more about cosmetic dentistry, and what a smile makeover can do for you. And please visit our smile gallery for examples of our work.